I don’t believe in chances – everything happens for a reason and I’d like to believe, as the manang at the church said, that God led us to this church. It wasn’t actually in our itinerary for this year’s Visita Iglesia, but for some reason, our feet (or our cars) led us here. We almost didn’t see the exhibit if not for our inborn curiosity that made us look at every nook and cranny of the small church. But on the left side of the church, past the adoration chapel, is a small anteroom which contains church treasures you would normally have to go all over Europe to see. 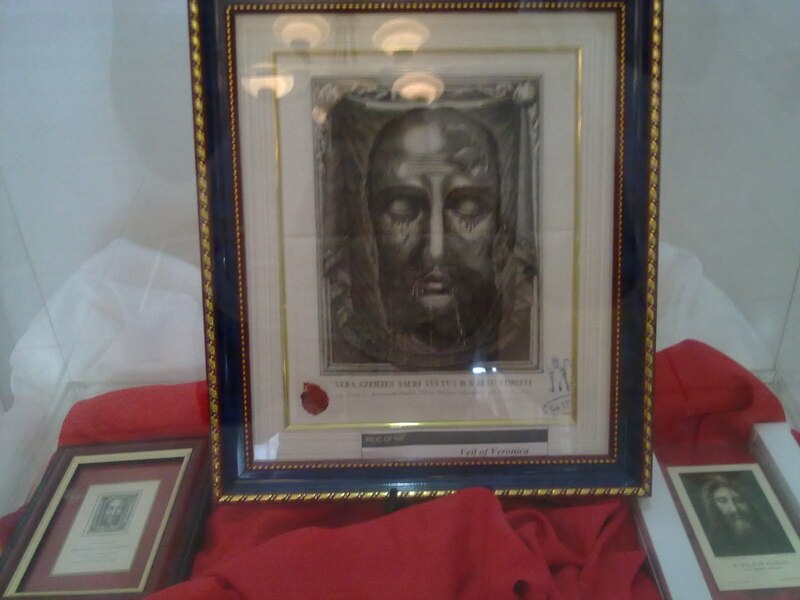 The first set of relics are the bone fragments of the 17th century saints – one for each day of the year. These relics came all the way from France, where the number of churchgoers has dwindled so much so that the church was demolished to make way for a restaurant/hotel. 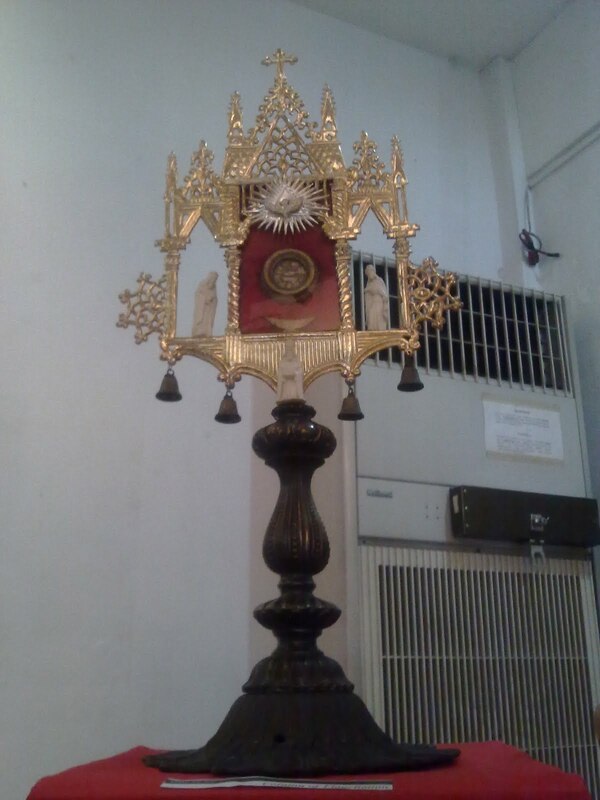 The parish priest was elderly and to preserve the relics, he had sent them to the Philippines, where majority of the people are Catholics and where the relics may just find the care and respect they deserve. St. Helena, mother of Constantine the Great,was born of humble parentage, referred to as an inn-keeper but was married to Constantius Chlorus. Giving in to political pressure, Constantius gave her up to marry the step-daughter of Emperor Maximinianus Herculius, Theodora. Constantine, her one and only son, remained faithful to her and when he became emperor, he conferred on her all the honor and titles befitting the mother of the reigning sovereign. She became a devout Catholic, influenced by her son after his victory over Maxentius. According to stories and tradition, she was travelling in the Holy City when she came upon a place of veneraton for Christians and found a temple to Venus. She had the temple destroyed and the place excavated, finding underneath three crosses, believed to be those used to crucify Christ, St. Dismas and Gestas. A miracle confirmed which of the three was Christ’s – a terminally ill woman was made to touch each of the cross and she healed upon touching the right cross. The nails were also found together with the cross. Parts of the cross and the nails were sent back to Contantine while the remainder was covered in silver and left in the care of the bishop of Jerusalem. However, numerous wars kept it transferred from one ruler to another until it was taken by Saladin and disappeared from history. Only the fragments sent to Constantine remain today, broken up into pieces distributed to various churches. The column upon which Jesus was tied due during his flagellation is kept in the Basilica of Saint Praxedes in Rome. The Holy Sudarium itself is kept in the Cathedral of Oviedo in Spain. 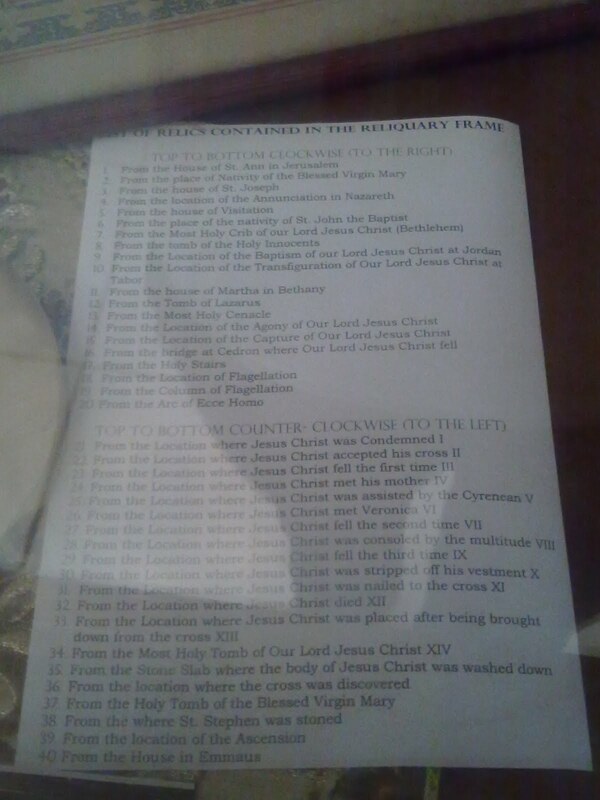 It has a better documented existence throughout history than even the shroud of Turin although the marked similarities between the two hint at the real possibility that they were indeed used to wrap Jesus after his crucifixion – they both contain the same blood type, and the fit of the stains are symmetrical with each cloth. * I don’t know how long the exhibit will stay in the Shrine, as it is due to tour the country, so you better head there and check it out soon. 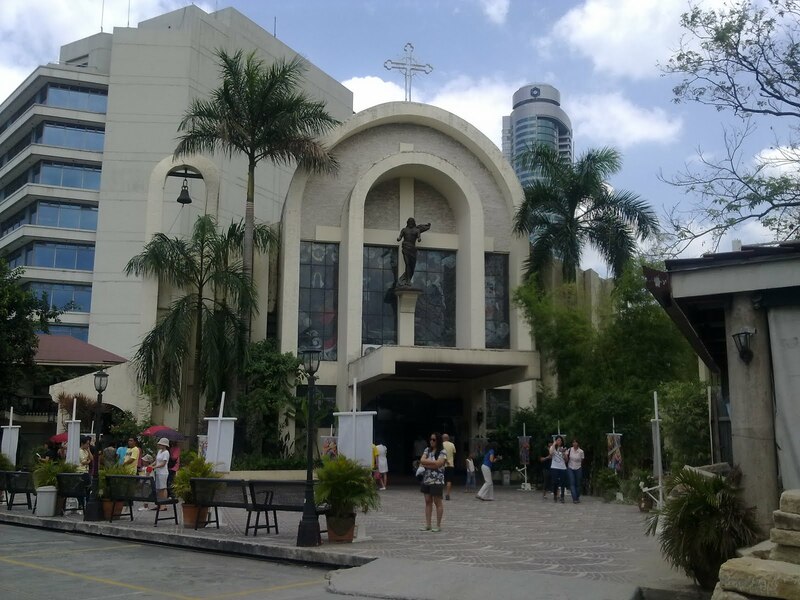 The National Shrine of the Sacred Heart is located along Sacred Heart corner Kamagong Streets, San Antonio VIllage, Makati. Thank you for visiting our parish church, we are happy & grateful for featuring on your blog the National Shrine of the Sacred Heart- Relics Exhibit of Saints. 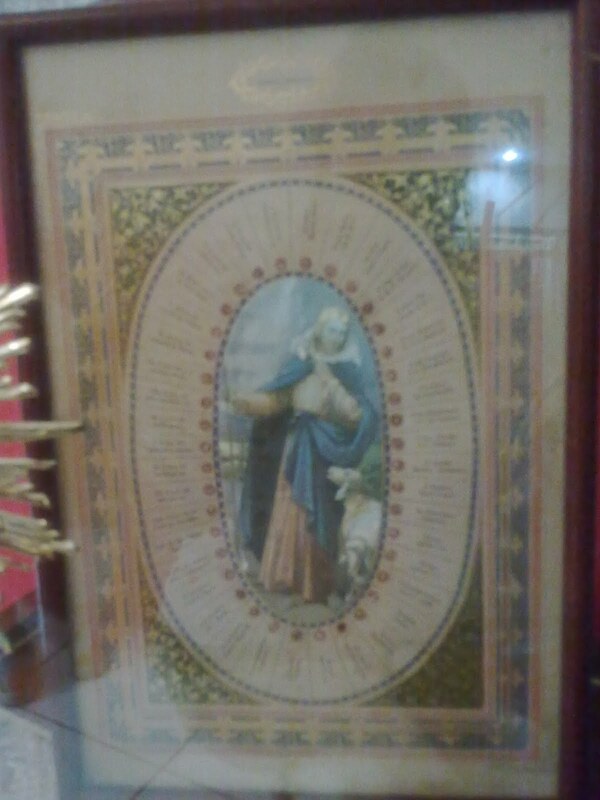 The time when you visited was our parish 5th time continuous Relics' Saints Exhibit (started August 2010).. 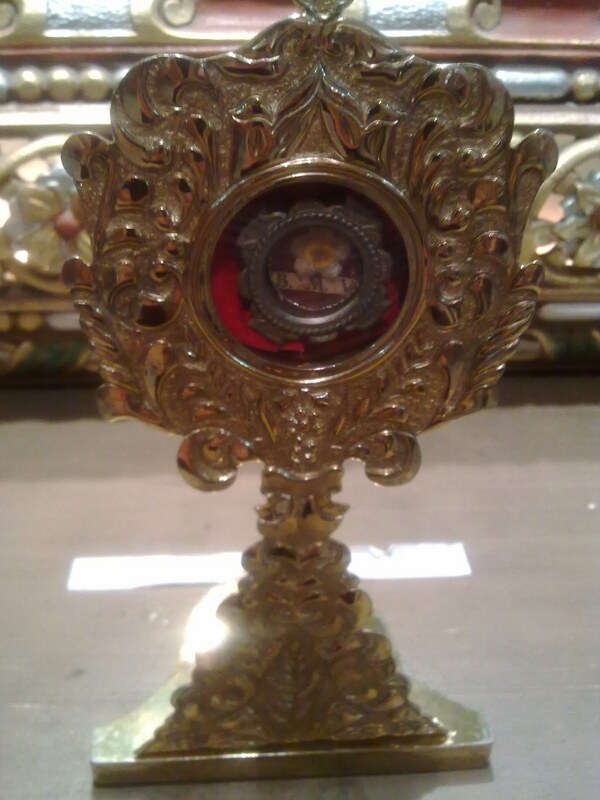 The Passion Relics was the recent one that had ended just this April. Excitingly, our parish is coming up a next exhibit featuring the Saints who have especial devotion to the Sacred Heart of Jesus. Opening of the exhibit will be this Sunday (June 19). and to join us in the celebration of the Feast of the Sacred Heart on July 1 (Friday). 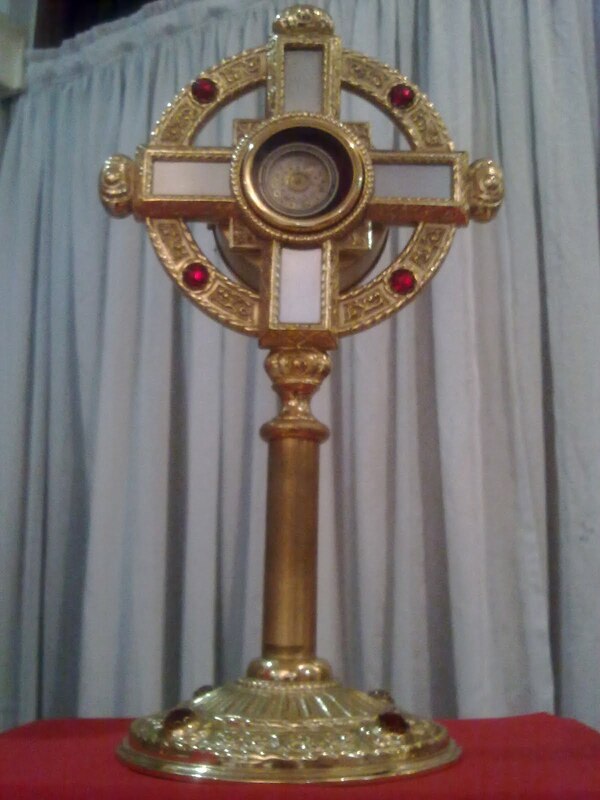 On behalf of the Relics Servants, we are glad for sharing this Saintly passion with others. God bless! Thanks, Ms. Ludz for visiting my blog. 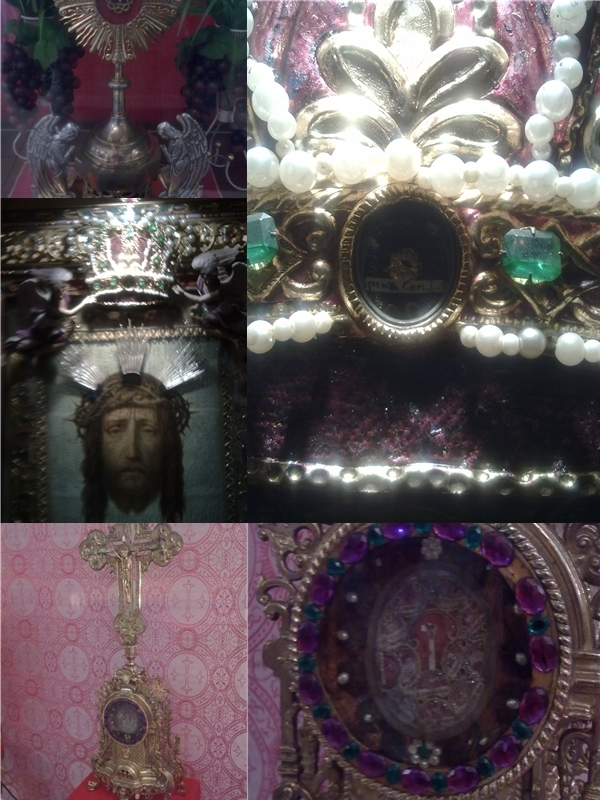 It was a very humbling experience seeing the relics. I'm already looking forward to visiting the next exhibit – I'll make sure to inform my friends and family and readers of this blog to visit the parish! God bless!